As a development associate at Kane, Kallie O’Haren supports the development team with market research and analysis and financial modeling for new projects and maintains budgets, schedules, and communication for ongoing projects. She hopes to pursue her CCIM designation. 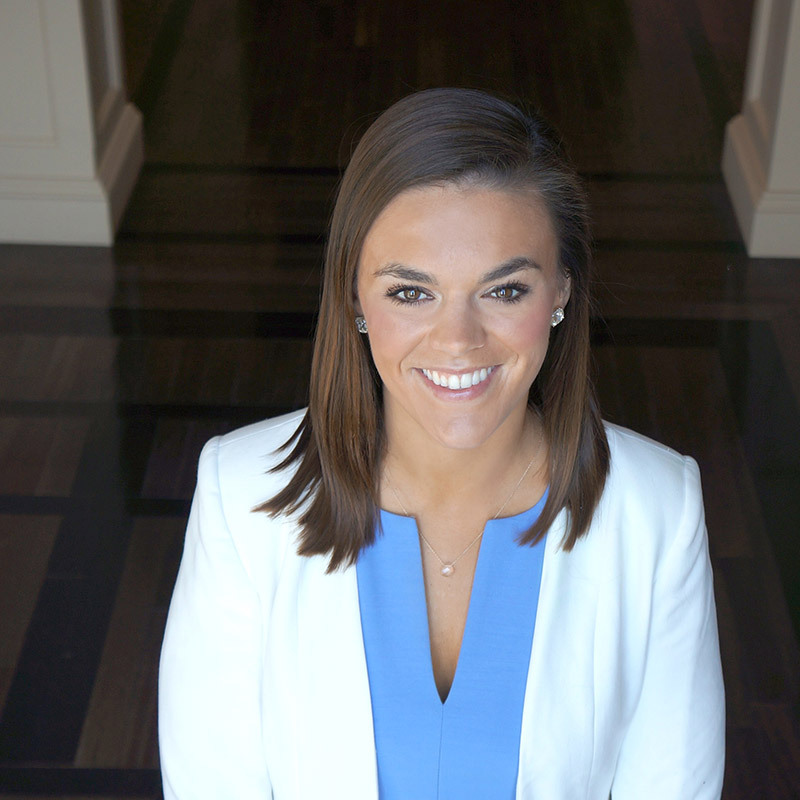 Kallie is from Atlanta and graduated with highest honors from the University of South Carolina, where she majored in international business, global supply chain and operations management, and economics. Moving to Raleigh shortly after graduation, she quickly learned to refer to her alma mater as “South Carolina,” though there is still much debate as to which is the real Carolina. Kallie speaks both Spanish and Arabic conversationally and spent time studying both languages in Sevilla, Spain. As an avid runner, Kallie is a volunteer coach with Girls on the Run, a social development and exercise group for 3rd through 5th grade girls. Outside of the office, you’ll find her, likely with her 1-year-old black lab, outdoors, enjoying local restaurants, traveling, or creating whimsical paintings on sheets of plywood.